The fabric is soft, clean and new. Pictures of Baby Tweety, Sylvester, and Bugs. It measures approximately 39"X44" . 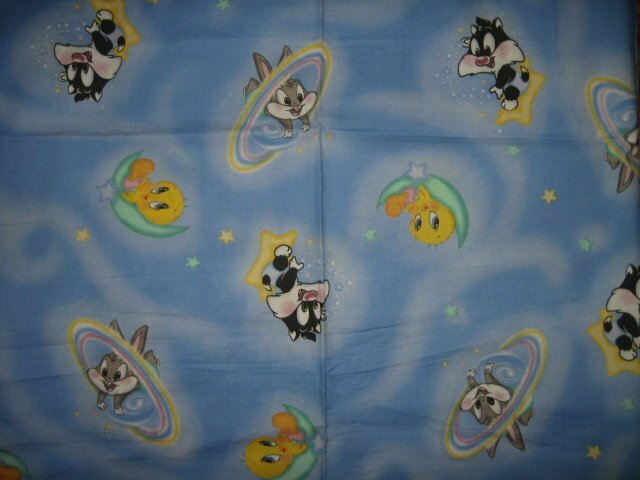 This is quality, rare cotton fabric.